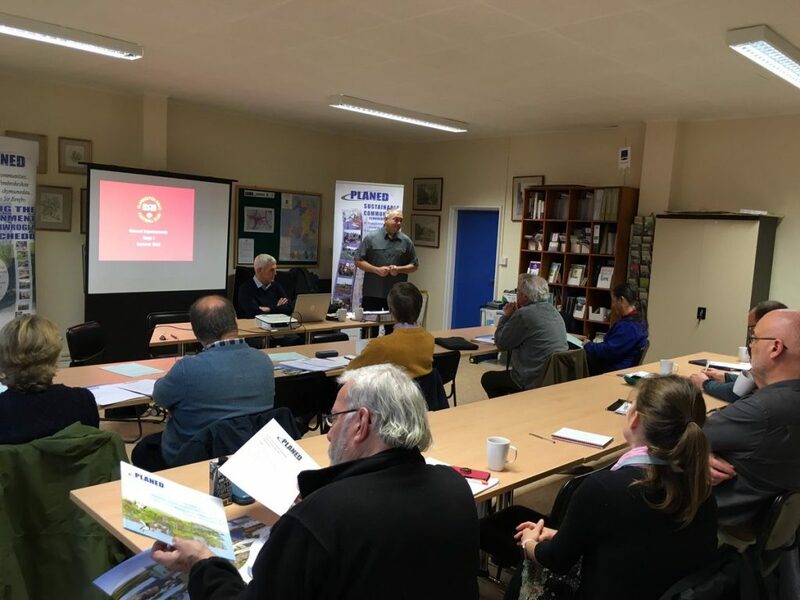 PLANED recently organised a community workshop for all Rural Community Development Fund (RCDF) applicants in Pembrokeshire. The RCDF is a grant scheme designed to prevent and mitigate the impact of poverty in rural communities. By addressing the impact of poverty it aims to improve conditions which can lead to future jobs and growth. Part of PLANED’s role is to assist the Pembrokeshire-based applicants by guiding them with the two-stage application process as well as assisting the organisations to draw-down the funding from WEFO. There were 9 projects represented at the workshop and it was an opportunity for the various representatives to share their knowledge and experiences of RCDF with others. Participants were able to learn from best practice models and ask questions on elements of the RCDF programme. Emyr John, LEADER Monitoring Officer for PLANED said: “It was extremely beneficial to have Steve Brown of Clarbeston Road AFC present at the workshop. As they are nearing the end of their project, Steve was able to share a lot of valuable knowledge with the group from helping them through the application stage, advice on procurement, budgeting and match funding aspects. Many of the successful groups have already received specific assistance from PLANED with the claiming stage including submitting their on-line claims to the Welsh European Funding Office (WEFO) as well as help to promote their project activities in the press and on social media.